2017 Beiter Series X Launch @ INTERGEO, BERLIN, GERMANY. 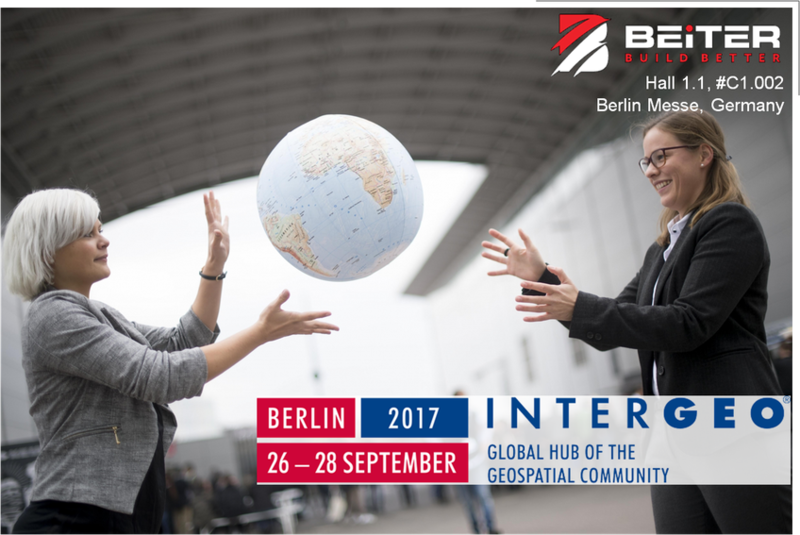 It's the 3rd year Beiter joined forces with Intergeo, the annual summit for world-class geospatial community. This year we will come to the historic city of Germany, Berlin to share insights with surveying and leveling leaders. We are excited to launch the newest SeriesX IN ONE WEEK at the show. Be our guest and register by emailing cs@beiterlaser.com to get FREE entry tickets by September 23! Like us on www.facebook.com/beiterlaser for more updates and news.